» PHOTOS: Promotion, performing, merch, candid +more! » VIDEOS: Performing, interviews, misc! » AUDIO: Talking, other songs, remixes, misc! » INTERVIEWS: Wise words from Katy +others! » ALABASTER FORUM: Katy's posts, profile! 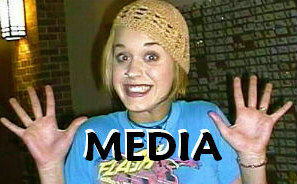 » MY OWN MONSTER: Katy wrote the foreword! » WALK: Katy writes about Growing Pains! » CCM Encyclopedia: Short write up!